WordPress WooCommerce Marketplace Buyer Seller Chat Plugin is a chat system which helps Marketplace Seller and the Marketplace Buyer to start the conversation. In this plugin, any buyer can start to chat with any seller. Buyer can ask queries related to the product that seller is selling or any upcoming products information, and seller can also reply to any buyer about their queries. A healthy conversation between a buyer and a seller leads to more sales conversions. It is user-friendly and customizable, where the administrator can customize the theme of the chat window and users list. Note : This plugin is based on Socket.IO and the user need to install node on their server to use the plugin. WordPress WooCommerce Marketplace Buyer Seller Chat Plugin is an add-on to WordPress WooCommerce Multi Vendor Marketplace Plugin. 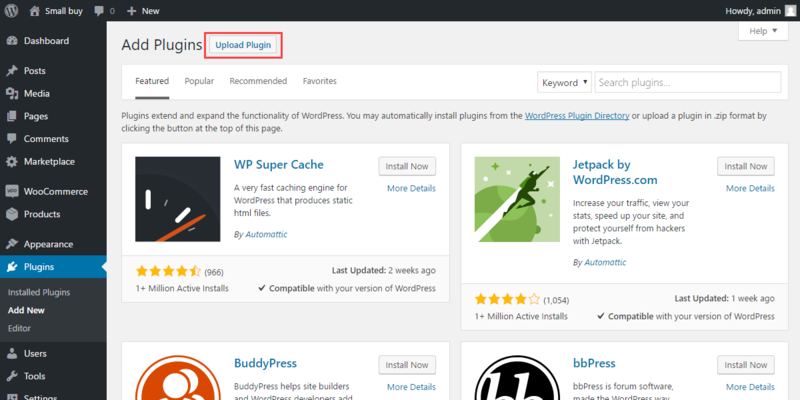 To use this plugin you must have installed first WordPress WooCommerce Multi Vendor Marketplace Plugin. Socket.IO based real-time chat management system. Buyer can chat with any Seller. Now a buyer can chat with any seller of the marketplace. He can ask queries related to the product that seller is selling or any upcoming products information, and seller can also reply to any buyer about their queries. The seller can change status to online, busy, and away. A seller can also change status to online, busy, and away as per his requirement. Smiley/Emoticon support for an interactive chat between users. This feature enables to use Smiley/Emoticon while a conversation between a buyer and a seller. With the help of Smiley/Emoticon, buyer or seller can express their views in a very interactive way. Multiple chat support for both Buyer and Seller. This plugin support multiple chats for both buyer and seller. Now a buyer can chat with multiple sellers and a seller can chat with multiple buyers simultaneously. A list of all the buyers whoever communicates with the seller will be available. He can check the history of chats with the buyers. Buyer and seller both can manage their chat profile and can update them. The buyers and sellers can manage their chat profile and can update their accounts accordingly. Buyer and seller can view chat message timestamp with the date. The buyers and sellers can see the time and date for any received or sent a message from their chat account. Buyers can do instant login from the chat window. The buyers can log in to their chat window directly from the product page of any seller to start a conversation with him. The sellers and buyers can view their chat history from their chat account to get an overview of their last conversations. 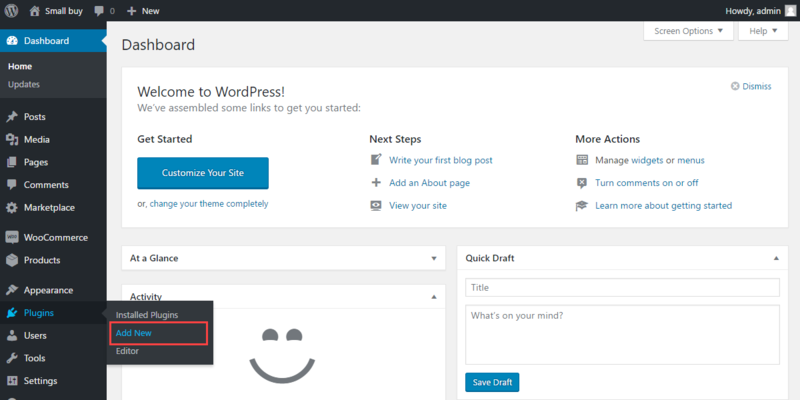 Will work with HTTPS enabled websites. The users can also use the plugin for HTTPS-enabled websites by just adding the server details (Private Key, Certificate Key, Sever CA Bundle File). That is all for the installation part of the WordPress WooCommerce Marketplace Buyer Seller Chat Plugin. Note: Please reach the destined folder in your directory and then run this command. Note: Please make sure Node is already installed on your server. After running the command you need to flush the permalink to update the permalink structure. Navigate to Settings > Permalink, select post name and click enter to update the permalink. After successful installation of WordPress Woocommerce Marketplace Buyer Seller Chat Plugin, admin can configure this under “Marketplace > Buyer Seller Chat”. If the user has enabled the HTTPS for his website then the user has to add the server details (Private Key, Certificate Key, Sever CA Bundle File) so that the chat features can work in HTTPS enabled mode accordingly. Start/Stop Server – To enable Buyer-Seller Chat, click Start Server button. For disabling the Buyer-Seller Chat, please click Stop Server. HTTPS Enabled – Select yes to enable HTTPS for your website. Private Key – Upload the server private key provided by the server service provider. Certificate Key – Upload the server certificate key provided by the server service provider. CA Bundle File – Upload the server CA Bundle File provided by the server service provider. A buyer can start to chat with any seller of the marketplace. For this, he just needs to navigate to the product page and log in to start the conversation. After logging in, the buyer can start the conversation with that seller. If the seller is not online then the buyer can’t initiate a chat with the seller but if the buyer has already initiated a chat with the seller then the message will be delivered to the seller. Buyer can also use emoticons for an interactive chat with the seller. The customer can see the response from the seller in his chat window. The buyer can manage the settings for his chat system by clicking on the Profile Settings option on the top right corner of the chat system. After clicking on Profile Settings, the buyer will get a pop-up window where he can change his profile logo, last name, and first name. The buyer can also update his status like – Online, Busy, and Offline. After Logging in as Marketplace Seller a chat icon will be available on the right side of the page. Seller has to click this icon to slide buyers list out. In the buyer’s list, All those users who have started the chat with the seller will be viewed in buyer’s list. In this list buyer’s full name, email address and status will be available. The seller can click on any buyer’s option to start a chat. If a buyer is online then the message will be delivered to him, else if the buyer is offline then the message will also be delivered to the buyer and a message will be shown to the seller as the user is not available for chat. A seller can manage multiple chat window if they are unable to view altogether. The seller can manage the settings for his chat system by clicking on the Profile Settings option on the top right corner of the chat system. After clicking on Profile Settings, the seller will get a pop-up window where he can change his profile logo, last name, and first name. The seller can also update his status like – Online, Busy, and Offline. The seller can see a new message from the buyer in his chat system. chat plugin conflict with “http://preview.themeforest.net/item/construction-construction-building-company/full_screen_preview/17271521?_ga=2.220786328.1483563563.1502178647-1518506080.1500980011” theme. How can I resolve it ? Hello, sorry for little delay in the reply. 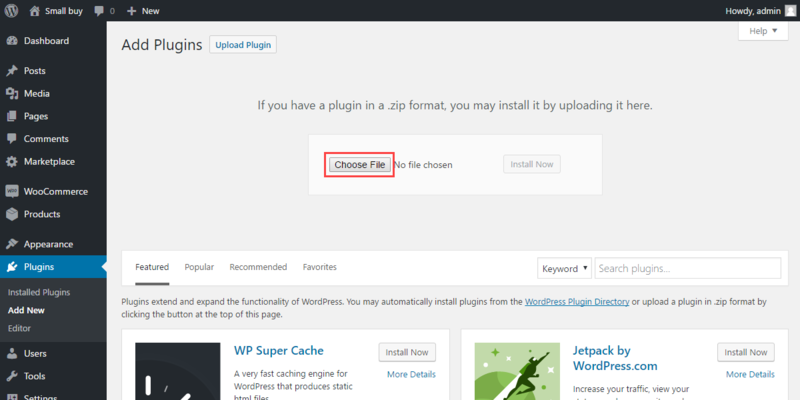 Can this plugin be compatible with WC vendors plugin..it also works quite similar to marketplace . 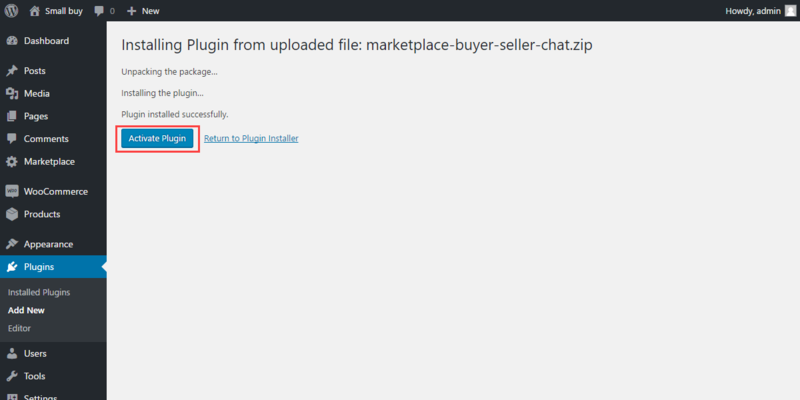 Actually marketplace buyer seller chat plugin works only with our multi vendor marketplace plugin.